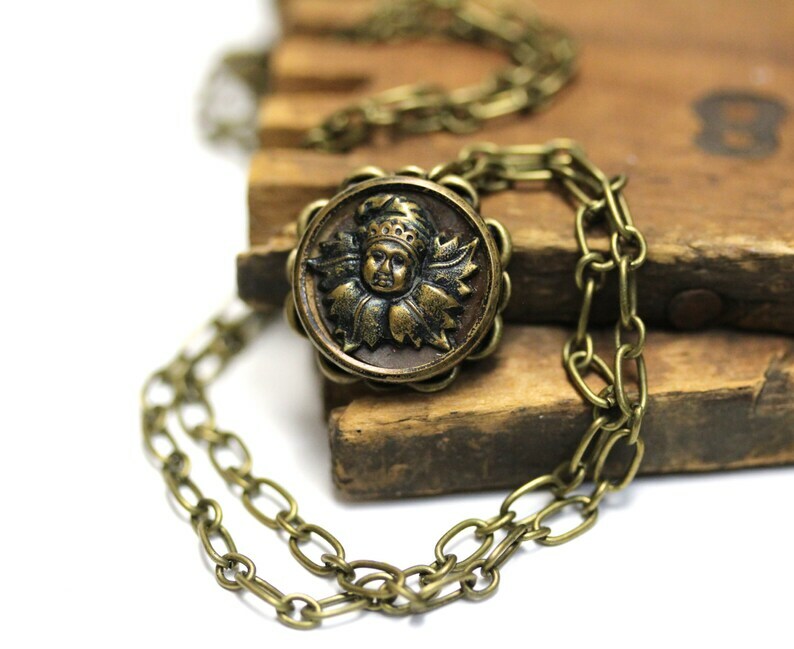 This whimsical fairy necklace was made with an antique brass button picturing a small gnome like magical being with a tiny slouched hat and a collar of four tree leaves. Be sure to zoom the photos to see all the wonderful detailing! Parasol Necklace, Victorian Jewelry, Antique Theatre Gifts, Woman With Umbrella Button, Fanny Davenport - "Of an Afternoon"
Ivory Fascinator Flower Clip, Off White Floral Hair Accessory, Rose Wedding Hairpiece, Gardenia Bride Headpiece - "Of Daydreams & Dewdrops"